Today, bananas may be a common breakfast staple on board, but it was once believed that they’d cause a ship to be lost! There are many theories as to why this superstition came about. Some believe it’s because poisonous spiders hid in shipments of bananas, biting and killing sailors, while others point to a trend of ships in the 1700s that carried loads of bananas becoming lost. Certain words are considered bad luck when uttered on a boat, including “goodbye,” and “drowned.” “Good luck” wasn’t allowed either as it was considered to bring bad luck. Another superstition holds that it’s bad luck for crewmen to pass salt directly to one another. To avoid the curse, one would set the salt bowl down and the other would pick it up. Here’s one that we’re sure you’re glad is no longer believed. In Scotland, fisherman used to throw one of their numbers overboard and then haul him back up in order to ensure a good catch. 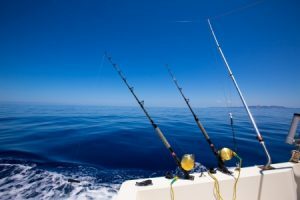 Whether or not you believe in any of these superstitions, there’s no better summer activity than going out on a boat to do some fishing, especially if you have a professional chef preparing your catch after you return to dry land! 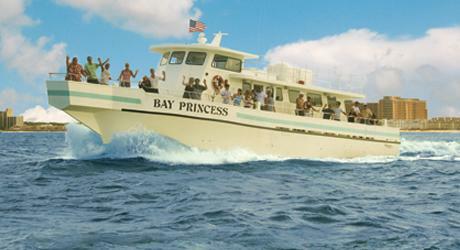 Check out Dockside Seafood Fishing in Virginia Beach, where we prepare the delicious fish you catch at our restaurant. Contact us today by calling 757-481-4545! ← Do You Know These Common Dolphin Behaviors?